Skin cancer is one of the most common types of cancer according to the American Cancer Society. If you are diagnosed with cancer, your dermatologist, Dr. Robert Zabel in Lakeville, MN, can tell you type you have and supply you with the necessary treatment options. Basal and Squamous Cell Skin Cancer: Both of these cancers are usually found in areas exposed to the sun, like your head, neck, and arms, as well as other areas. 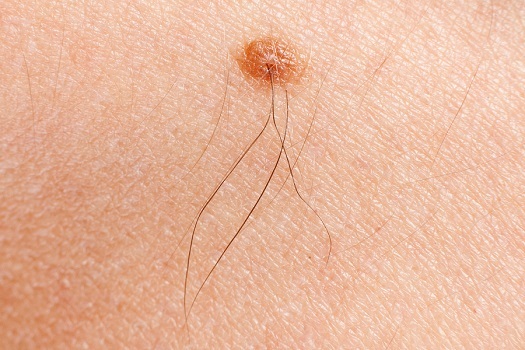 Although common, basal and squamous cell skin cancer are treatable. While light-skinned individuals are most likely to develop Squamous Cell Skin Cancer, darker-skinned people can too. Merkel Cell Skin Cancer: If you have Merkel cell carcinoma, you need to know what to expect and can help you cope. This cancer usually appears on your face, head or neck as a flesh-colored or bluish-red nodule. Be sure to schedule an exam at your Lakeville dermatologist’s office if you notice any irregularities or changes in your skin. For more information about skin cancer and to speak to dermatologist Dr. Zabel in regards to any worries you may have, call the Center for Dermatology in Lakeville, MN.